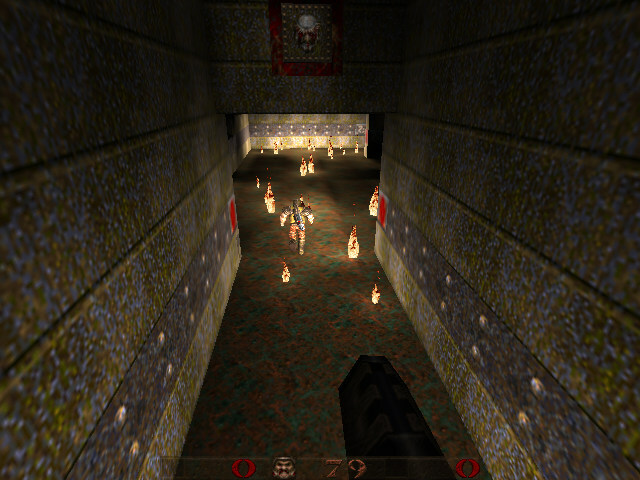 Secret Hint #47: Quaking Inferno has a secret Easter Egg hidden within. So far, only FrikaC has managed to find it. 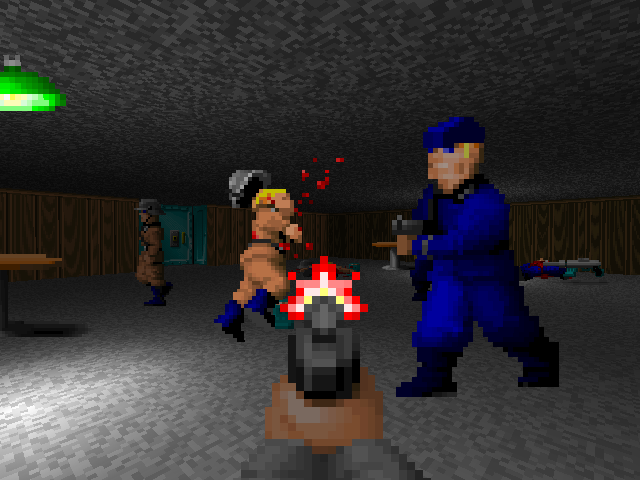 Happy Birthday, Quake Shareware Episode! 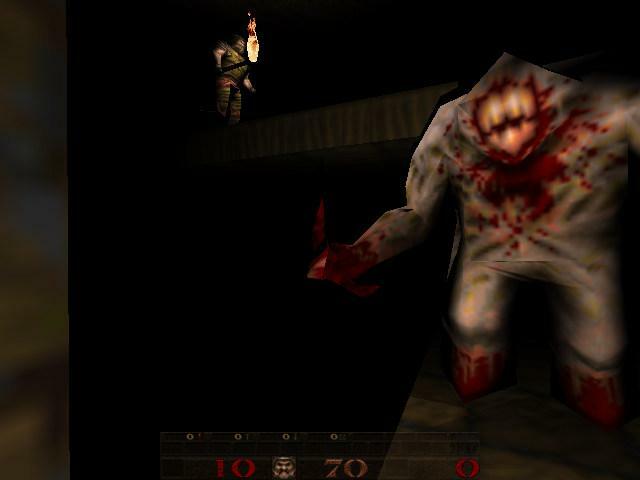 To celebrate, first is a little slice of Quake history. 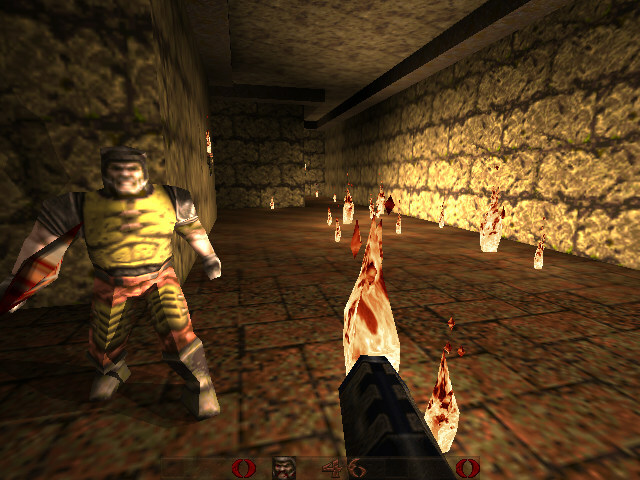 Looking through the files for the unreleased Quake arcade game, I was left feeling rather underwhelmed. There was one file, however, that piqued my interest: “tim.wad”. With much effort I was able to extract the textures from it and insert them into a brand new WAD file. 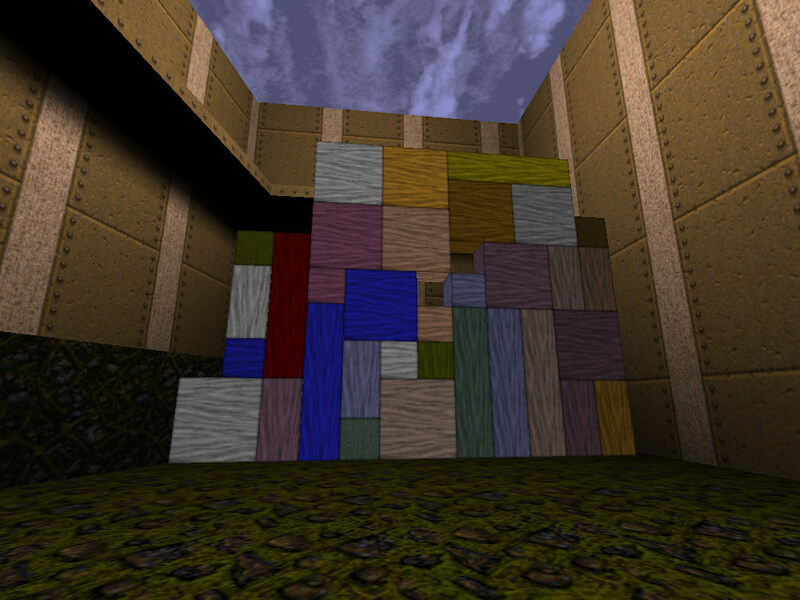 There’s quite a few goodies here: many textures that made it into the retail Quake, a number of textures that weren’t seen until the expansion paks, but also a lot that have never been used before. Hopefully that can change now! 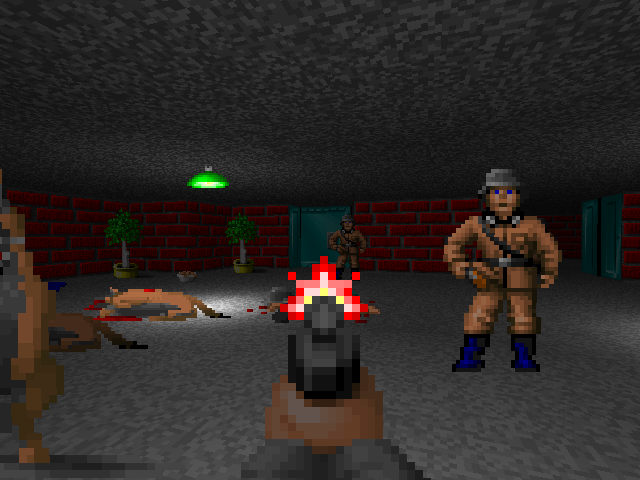 And here is the music from Wolfenstein 3D, converted into OGG format audio for use in Darkplaces. Quaketastic wouldn’t let me upload the PK3, so make sure to plop this into your ./wolf/ directory and rename it from .ZIP to .PK3 for it to work. 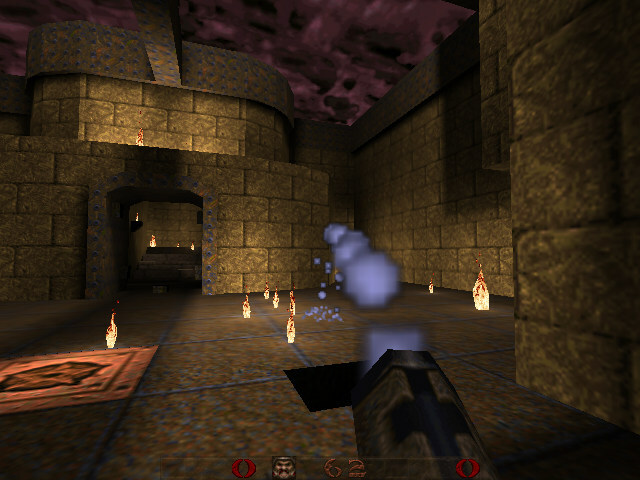 Just one small quick release, here I’ve converted Negke’s “A Happy Map for Happy People” to be used in “Quaking Inferno”! Hoppy Easter! Two more releases today! Here’s another mod I meant to release at the last QExpo, I had it maybe 75% finished before my hard drive went under. 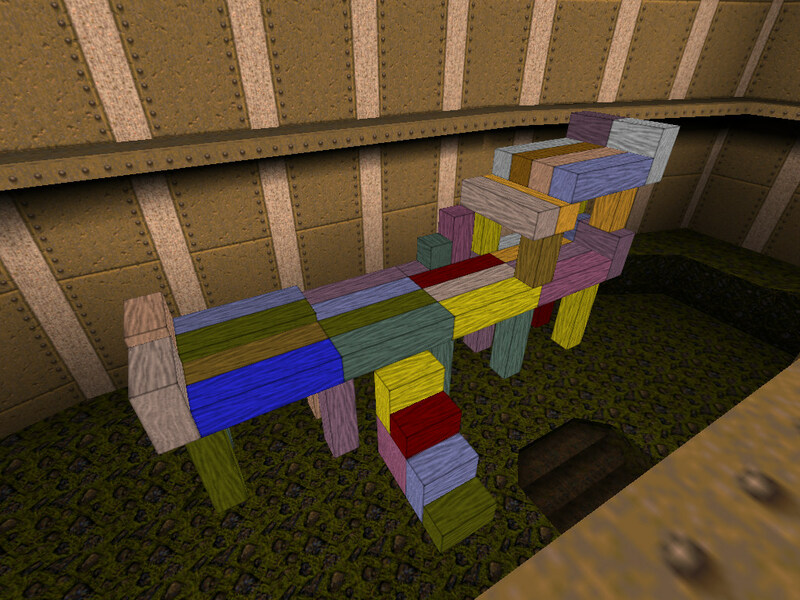 It’s called “Quaking Inferno”, and it’s a tribute to an Atari 2600 game called “Towering Inferno”. I’ll need to add some sound effects to it later, and there are a few other tweaks I’d like to make, but it’s in a very playable state right now. Note: for some reason, the flames are much harder to put out in FitzQuake than they are any other engine. 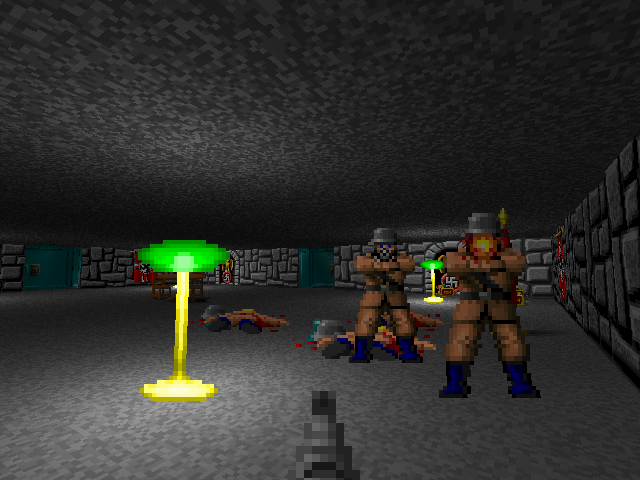 Multiplayer is untested and may or may not function as intended. And here’s Bloqs! 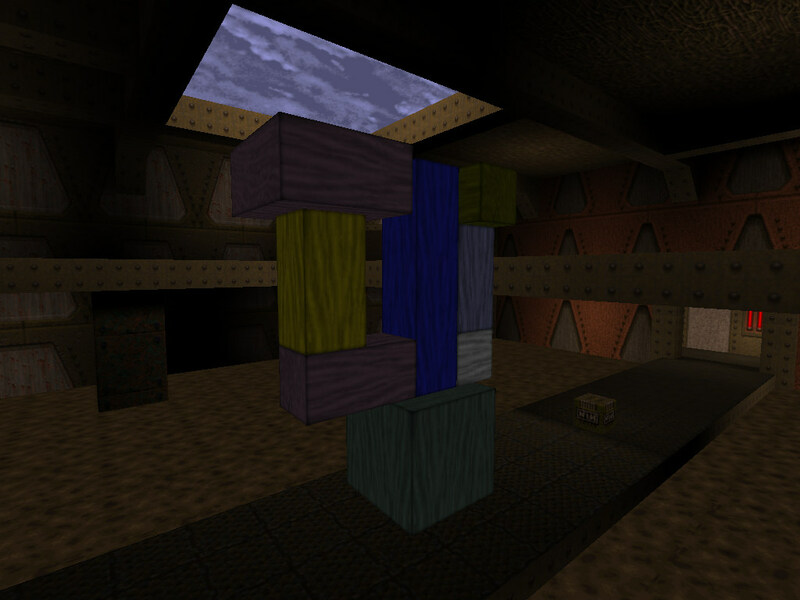 It’s a building block minimod idea I’ve been toying around with this year (pun intended). The controls might not be completely obvious, and there are a couple additional options available, so please check the readme before diving in. Single player, coop, and deathmatch should be supported, but may have bugs I overlooked. Here’s a mod I’ve been kicking around for a while, but never got the chance to officially release. It’s tentatively called “Remote Controlled Monsters Mod”, and it’s basically what it sounds like: creep up to a monster and take control, forcing it to do your bidding. Please check the readme for info on playing. 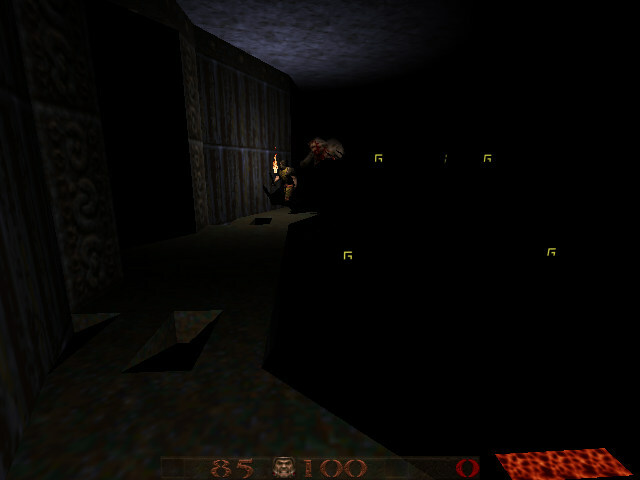 And here’s an update of “The Beast in the Cave” speedmod that I meant to release for playtesting at the last QExpo, but I had a hard drive crash and missed the entire event. Nobody wanted to playtest it either, so if there’s any bugs, don’t blame me. 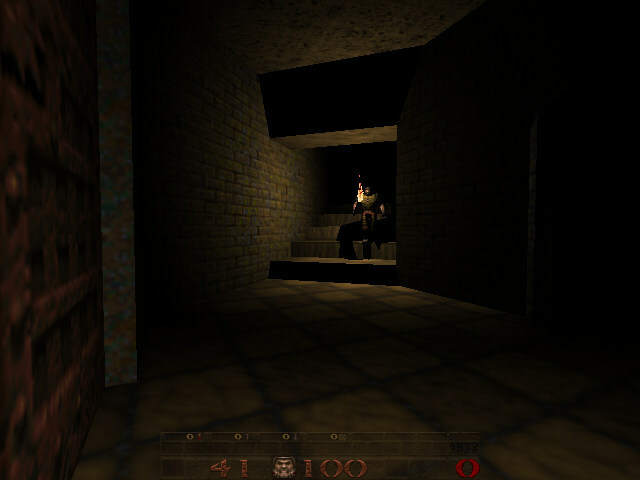 Happy 15th Birthday in a couple of days, Quake Shareware Episode! And Happy 10th Birthday in a few weeks to the Quake Expo! Sorry I’m late, I didn’t have Internet access yesterday, but now I’m here! And I’ve got goodies for you! Except you don’t get to see them yet because I can’t figure out how to upload files… But rest assured, as soon as #qexpo wakes up and tells me, you guys will be the first to get your hands on this stuff!